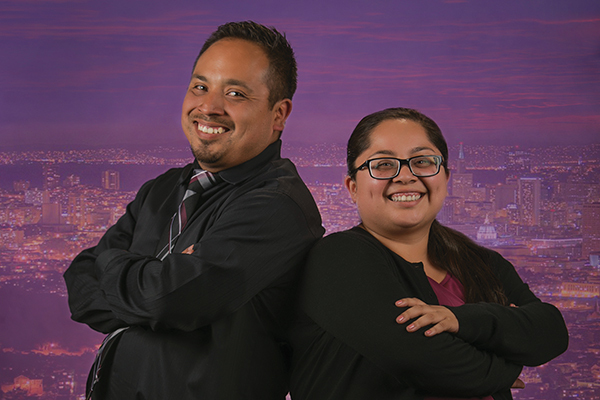 Last year, at the ages of 32 and 28, a brother and sister alumni duo became two of the youngest elected leaders in the City of Oxnard. In the first generation of their family to attend college, they hold two degrees each from Cal Lutheran. Oscar Madrigal ’06, MPPA ’10, was elected to the city council on his fourth attempt, and Monica Madrigal Lopez ’10, M.S. ’13, ran for school board and won. Both kept their full-time jobs. Oscar teaches Spanish and coaches soccer at Oaks Christian School in Westlake Village, and Monica works as a counselor on the staff of a federally funded Cal Lutheran program supporting first-generation, low-income and disabled students. They have two more sisters, and the youngest, Leslie, is a CLU sophomore majoring in criminal justice and Spanish. This summer, Monica helped Cal Lutheran to host some 500 Oxnard-area students in grades 3 through 8 in a series of half-day visits. She wants “a college-going culture” for Oxnard kids, who should be aware of the option by the time they start high school. Participants “got to run on the field” and work with undergraduates in real private-university classrooms, Monica said. Although it’s a short drive, she observed, some youngsters had never been up the grade to Thousand Oaks. Oscar has been working on housing issues and improving parks, and looks forward to tackling homelessness. Given that brother and sister live together in the family home in La Colonia, a certain amount of city business gets heard there. “Sometimes it bleeds over,” Oscar confirmed. “It makes my parents excited to hear what’s going on, and my little sister when she’s home,” said Monica. Also helping with the summer program for Oxnard youth were Elena Jaloma ’03, M.S. ’08, MPPA ’15; Katie Garza, M.S. ’13; Victoria Garcia, T.C. ’14; 2016 graduates Andrew Castro, Jaynessa Lopez and Veronica Ramos; and current senior Carolina Zuniga-Mejia.